The Foundation’s mission is to offer financial aid to Latino students who wish to study music. It will also be a great contributor in the fight against Cancer. 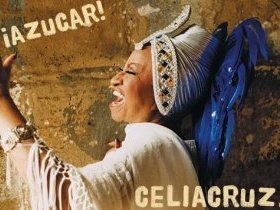 Founded by music industry legend Celia Cruz, The Celia Cruz Foundation is a not-for-profit organization dedicated to raising funds for underprivileged students wishing to study music. During her 50-year span in the music industry, Ms. Cruz was a tireless supporter of music education issues in the Hispanic community. For more than half a century, the Queen of Salsa carried her title with class and distinction. Her powerful voice and electrifying rhythm garnered more than 100 worldwide recognitions, multiple platinum and gold records, three GRAMMY® awards and four Latin GRAMMY® awards, as well as a star on Hollywood’s Walk of Fame. Her boundless enthusiasm, genuine warmth, and deep-seated humanitarianism made Celia Cruz the music industry’s most accomplished and revered performer … and the world’s most notable ambassador of Hispanic culture.